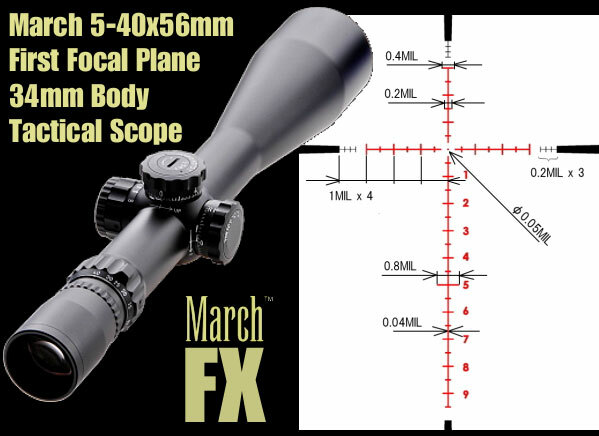 Here’s a sneak preview of the new March FX 5-40x56mm tactical scope from Kelbly.com. 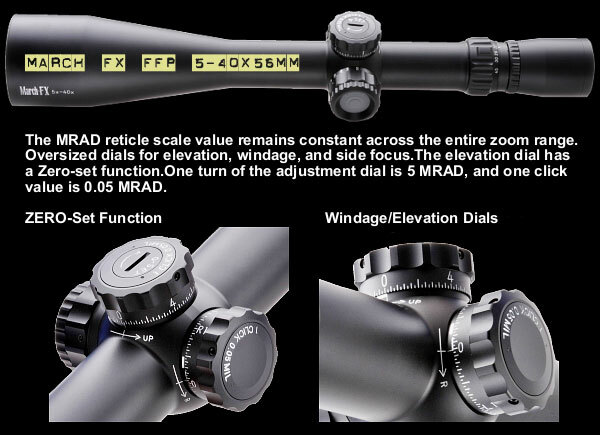 This FFP scope features a 34mm main tube, side focus adjustment (10 yards to infinity), and 24 milrads elevation travel (about 94 inches at 100m), with 0.05-milrad click values. 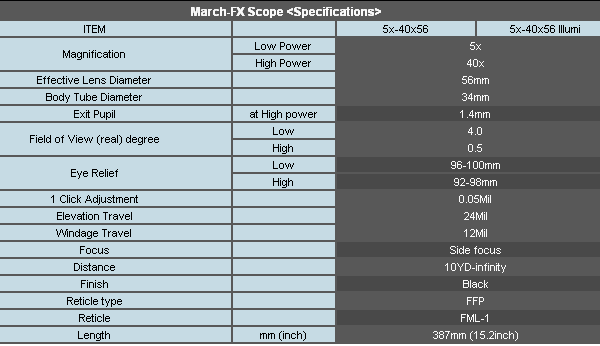 The March FX will be offered in both a non-illuminated basic version (weight: 860gm or 30.3 oz. ), and a higher-priced illuminated version (weight: 890gm or 31.4 oz. ), with four brightness levels. So how much will these babies cost? MSRP for new March FX has not yet been announced, but we expect to get pricing info at SHOT Show in January. 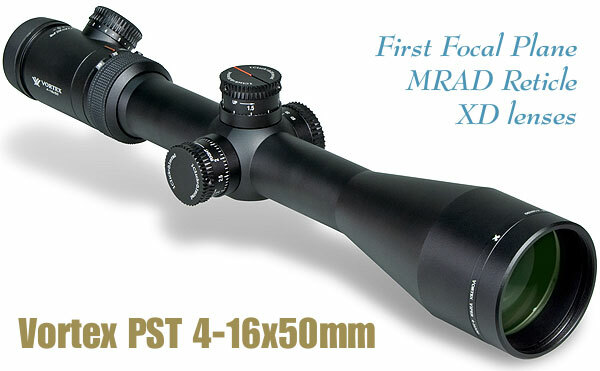 Yes the FX features a First Focal Plane (FFP) milrad-type Reticle. This means that the ranging stadia (hash marks) remain constant relative to the target at all magnifications. So, you can range your targets using the milrad system at any power settings. That’s a big deal for tactical shooters. This new FX scope also offers an 8 times power range — the highest magnification ratio in any FFP rifle scope made to date. Is that valuable? Our tactical shooting buddies say yes. 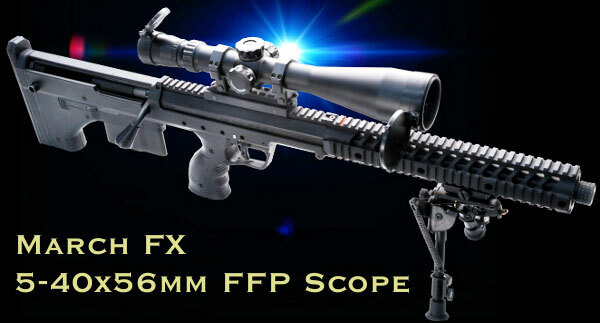 Share the post "March Unveils New 5-40x56mm FFP Tactical Scope for 2012"
Here’s a great December Deal from Webyshops.com. Right now, until supplies run out, Webyshops is offering Bushnell’s Elite 3200 5-15×40 AO Riflescope (item 325154T), for just $349.00 — that’s one hundred bucks cheaper than Webyshops’ regular low price. 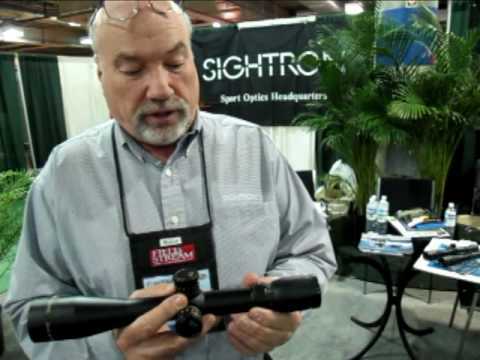 This is a very popular scope and Webyshops’ #2 top seller. It has excellent glass. The Bushnell Elite 3200 5-15×40 AO Riflescope is a quality hunting and target scope. It’s also great for rimfire guns because the front adjustable objective can focus all the way down to 10 yards. 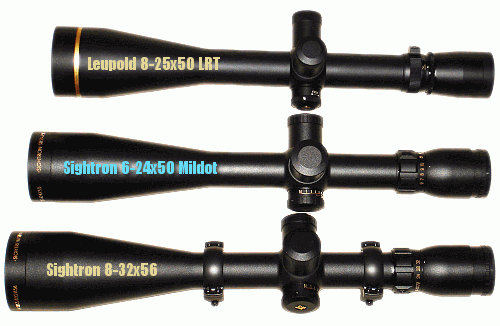 The Elite 3200 5-15×40 features Target Turrets with 1/4-MOA clicks, Mildot reticle, 1″-diameter maintube, and it ships with a sunshade. 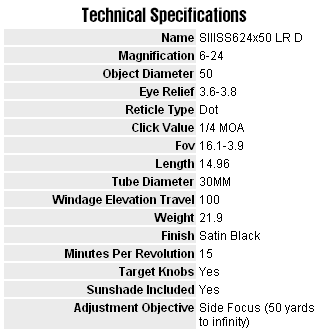 Stated elevation range is 50 MOA (so you may need an angled base for 1000-yard shooting). 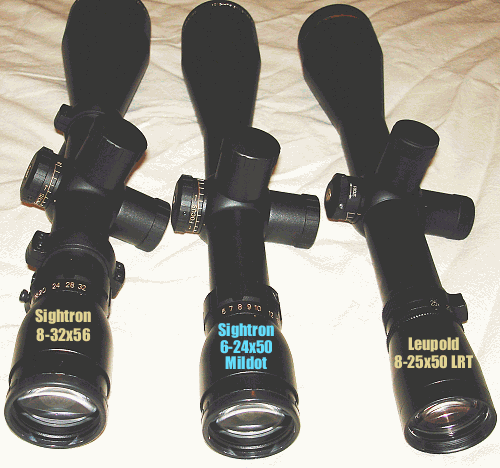 The scope is NOT a Front Focal Plane, so the ranging capabilities of the Mildot Reticle are limited to one magnification. 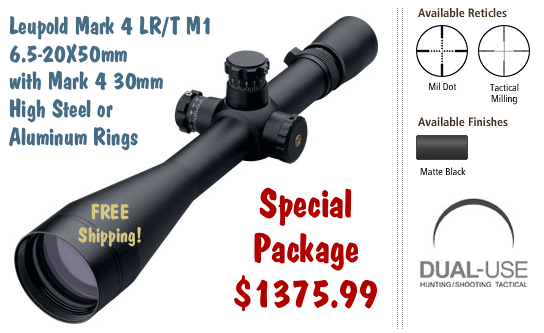 Share the post "Bushnell 5-15x40mm Elite 3200 on Sale for $349.00"
This is a very powerful program. We suspect it will take most users a few days before they really understand all its functions and options. 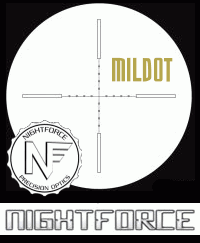 To see a more detailed demonstration of the Mil-Dot Rangefinder App, click on the YouTube video below. There’s no voice-over, so the video can be hard to follow. But at least the video showcases the flexibility of the program and the wide variety of functions it offers. Credit The Firearm Blog for spotlighting this useful App. Share the post "New Mil-Dot Rangefinder App for Apple iPhone and iPod"
MidwayUSA has released a new 3-10x40mm MIL/MIL Tactical Grand Slam scope, made exclusively for MidwayUSA by Weaver. 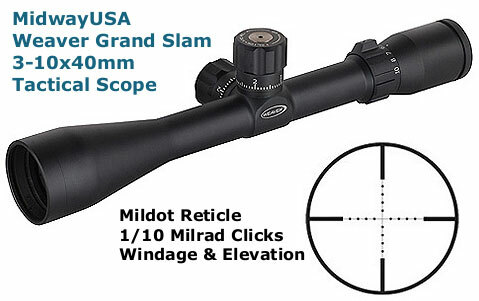 The scope features 1/10 mil radian (MIL) clicks, with a claimed 56 MOA (16.5 MIL) of BOTH windage and elevation adjustment. 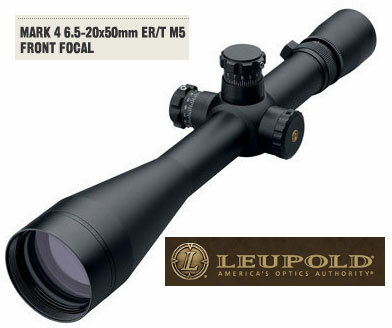 On sale through May 31, 2010 for just $299.00, the scope is regularly priced at $399.00. 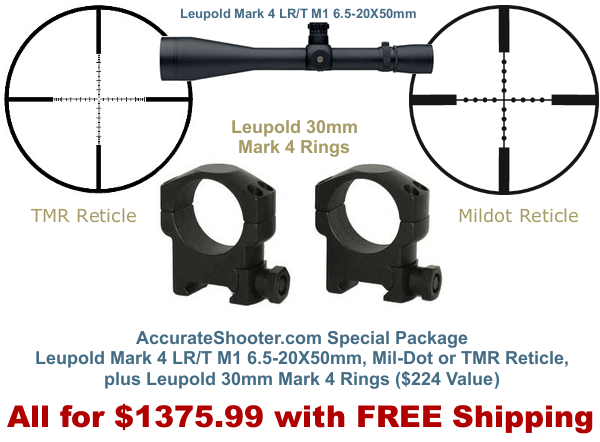 Even at the $400.00 mark, the scope is one of the most affordable optics combining a mildot reticle with mil-based clicks — a smarter system than what you find on so-called “tactical” scopes combining mildot reticles with 1/4-MOA clicks. 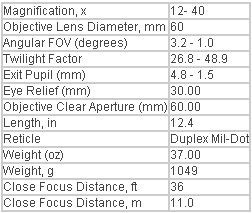 With the MIL/MIL arrangement you can directly translate what you see in the scope to click values. For example, with a MIL/MIL scope, a shot 1.5 mils low would require an elevation turret adjustment of 1.5 mils (15 clicks). 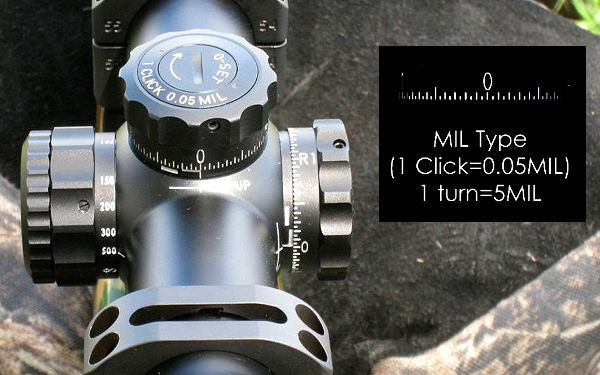 This eliminates MOA conversions and allows the shooter to make adjustments quickly without having to do any math. 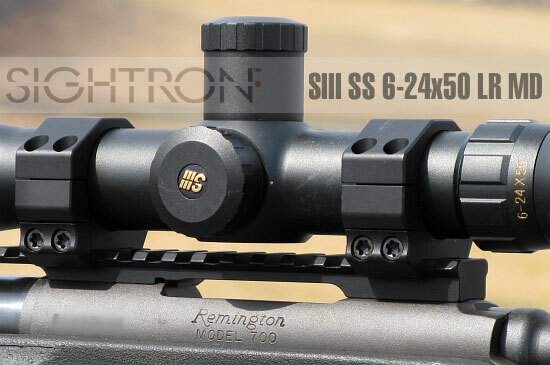 This tactical scope features Weaver’s Micro-trac® adjustment system, resettable 1/10 mil radian (MIL) windage and elevation turrets and a Mil-dot reticle. The scope has a one-piece tube and is claimed to be waterproof, fogproof and shockproof. The new Grand Slam 3-10X boasts a fast-focus eyepiece adjustment, and Weaver claims the multi-coated, Japanese-made lenses afford 94% light transmission. 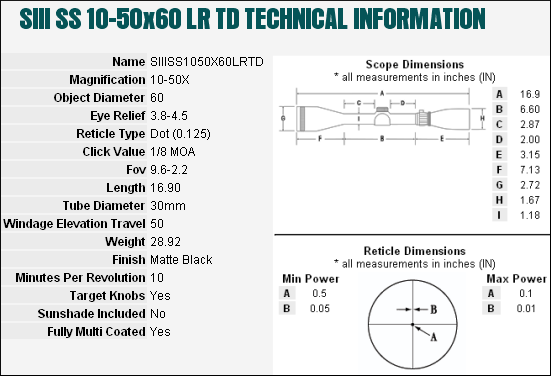 That’s a pretty tall claim regarding light transmission; if it’s true, then this scope should have very good low-light performance. We suspect the true average light transmission (across all visible wavelengths) is quite a bit lower. 94% transmission would put the new scope on a par with premium optics costing $1200.00 or more — which is unlikely. 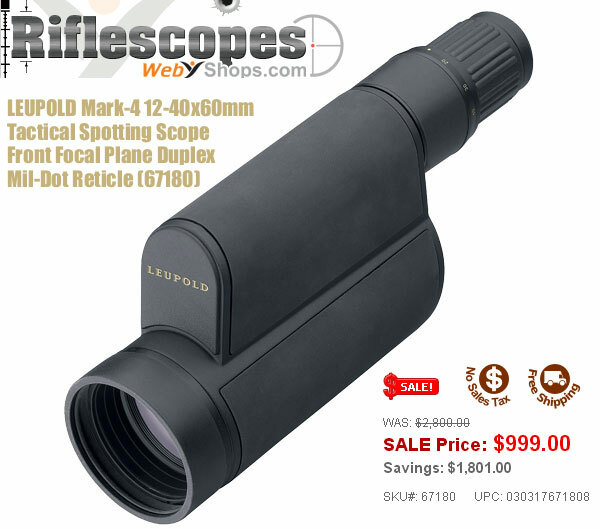 As noted above, the new 3-10x40mm scope is on sale for $299.00 for the rest of May, 2010. 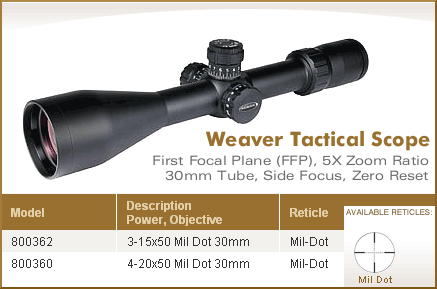 The scope is covered by Weaver’s Lifetime Warranty. 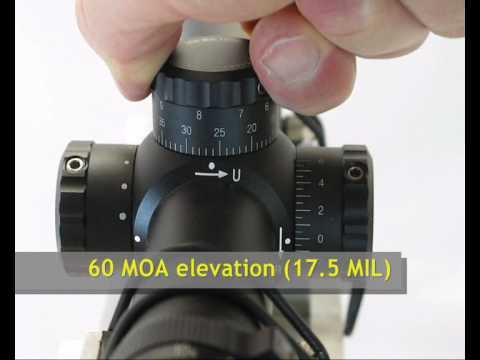 Share the post "MidwayUSA Introduces Weaver-Made 3-10x40mm Mildot Scope"
Bryan Litz, a skilled long-range shooter and ballistician for Berger Bullets, has created a “deployable” ballistics computer, MOBALL, based on the versatile Texas Instruments Voyage 200 graphing calculator. The MOBALL unit lets shooters input a wide variety of environmental variables. It delivers very precise ballistics solutions, and can run for months on a set of ordinary AAA batteries. 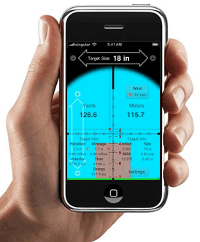 CLICK HERE for full description of MOBALL Ballistics Calculator. 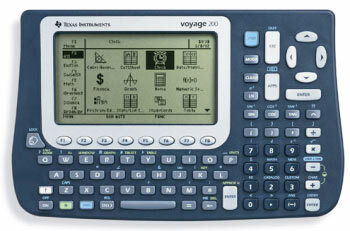 When Bryan released the MOBALL unit late last year, it was set up to use English system measurements for most of its functions. That worked great for most users, but some shooters with mildot scopes wanted the ability to use Mils and meters instead of MOA and yards. Well, Bryan listened to these requests — he’s upgraded the MOBAL to provide metric range inputs and both metric and Mil drop outputs as an option. The MOBALL Unit Retails for $290.00 and is available from AppliedBallisticsLLC.com. 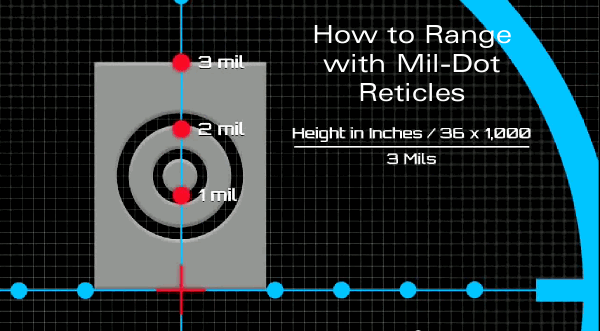 Share the post "Litz Adds Metric/MILs Options to MOBALL Ballistics Computer"